What role does the cone beam technology play in your profession? 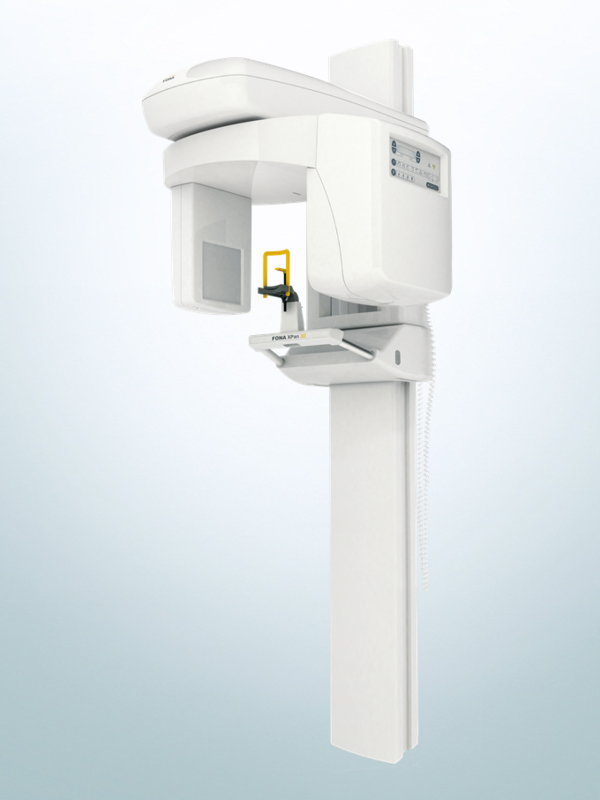 The cone beam technology allows a complete evaluation of clinical cases. It is applicable in every field of dentistry and visualizes particularities which are hidden in 2D. Do you have an example of a clinical case which would have done differently without the cone beam technology? A 40 year old patient visited my studio with expressing pain at the molar 46. I made an intraoral image and identified a cyst. At this stage I was convinced that extraction of this tooth is needed. 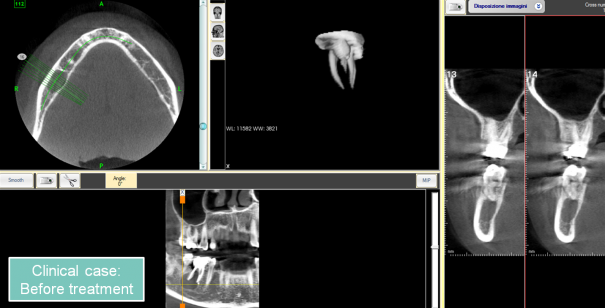 In order to understand the distance to the mandibular canal I acquired a 3D image. When analyzing the 3D volume, I found a fourth canal which is usually not present. I cancelled the date of surgery and started a hygiene treatment by cleaning the fourth canal. Three months after the treatment had started I took a second radiographic image and found that the cyst had healed. In this particular case I was able to avoid a surgery thanks to the cone beam technology. In which way did FONA XPan 3D change your work? FONA XPan 3D is great equipment for my daily needs. Before deciding for FONA XPan 3D I have sent my patients to external radiology centers. Now I have the chance to acquire radiographic images directly in my studio and consequently diagnose and suggest a treatment plan within one visit. Thanks to the ability of the system to make both 2D and 3D images, even cases which require implant planning can now be treated in-house. I am able to provide more service and my patients appreciate saving time and costs while learning about their health situation within the same visit. Did you have to change your studio to install FONA XPan 3D? Absolutely no construction changes were needed. XPan 3D has a very compact design and it occupies just as little space as a 2D only. Therefore it fitted easily into my existing studio. Thanks to the qualified FONA personnel the installation went quickly and the unit was immediately functional from the first day on. How do you evaluate the operation of FONA XPan 3D? Operating FONA XPan 3D is very easy, fast and convenient. The symbols on the control panel are intuitive and furthermore I have the possibility of setting the exposure programs remotely from my PC. Panoramic images as well as 3D volumes are visualized within seconds and can even be visualized on my touchpad, which makes the patient consultations quick and pleasant. 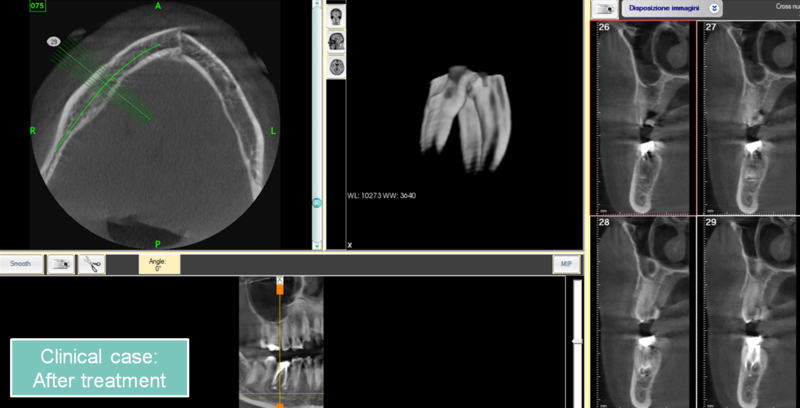 FONA XPan 3D is a significant step forward for every clinic as it allows to offer a more complete service to the patient. Explaining a clinical case on a 3D image facilitates the understanding by the patient and thereby increases the treatment plan acceptance. FONA XPan 3D is an accessible 2-in-1 solution which I would recommend to every modern studio for daily dentistry. Prof. Dr. Paolo Nico li is professor at the University of Genova (italian: Università degli Studi di Genova), one of the largest universities in Italy. The university was founded in 1481 and currently has about 40.000 students, 1.800 teaching and research members and about 1.580 administrative employees. 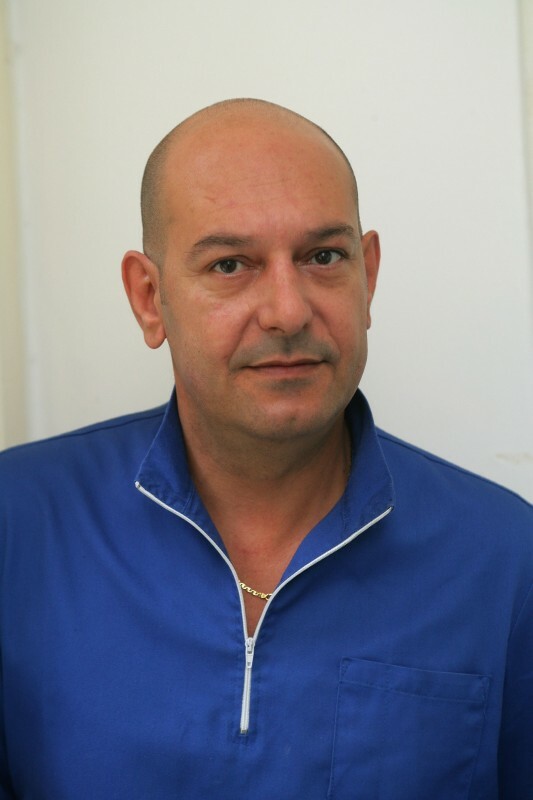 FONA thanks Prof. Dr. Paolo Nicoli and his colleagues Dr. Alessandra Evangelisti and Dr Elena Dellepiane for the interview and their utmost dedication and support. For more information about FONA XPan 3D please visit https://www.fonadental.com/products/fona-xpan-3d/ or send an e-mail to info@fonadental.com.